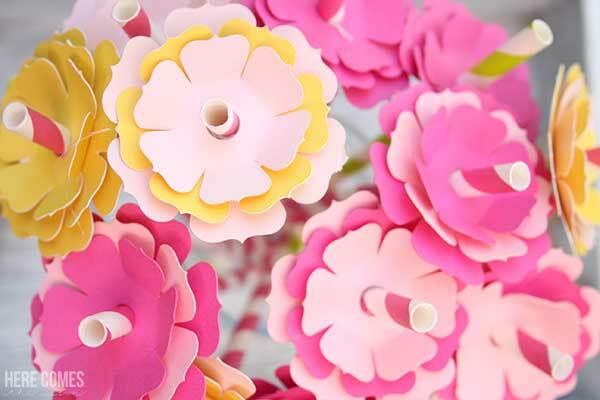 These Kentucky Derby drink stirrers are simple to make and will make your party drinks very festive. How many of you watch the Kentucky Derby? I never watched it until we had our daughter. She absolutely loves horses and when she was 2 years old, we watched the race as she sat on the couch and screamed “go horsies, go”! We never talked about it after that day but a year later we watched the Kentucky Derby again and she completely remembered it. It really shocked me what she could recollect. These days she watches it and talks about how the horses who win it run a negative split. That’s my little runner for you. We love to watch the Derby and have fun seeing if any of us can choose the winner. We put on fancy hats and act like we actually belong at the Derby. 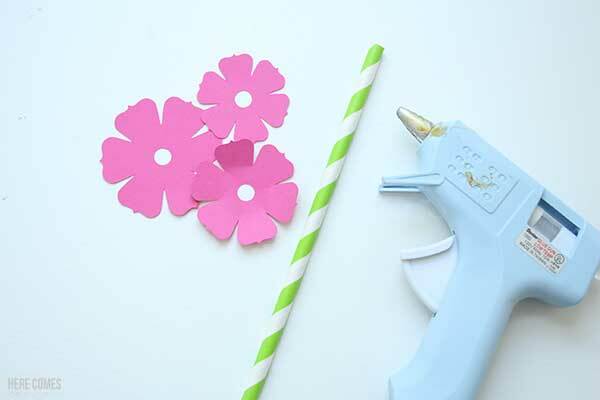 This year I’m going to make mint juleps for our little Kentucky Derby party (non-alcoholic for the kids of course) and top them with some festive Kentucky Derby drink stirrers. 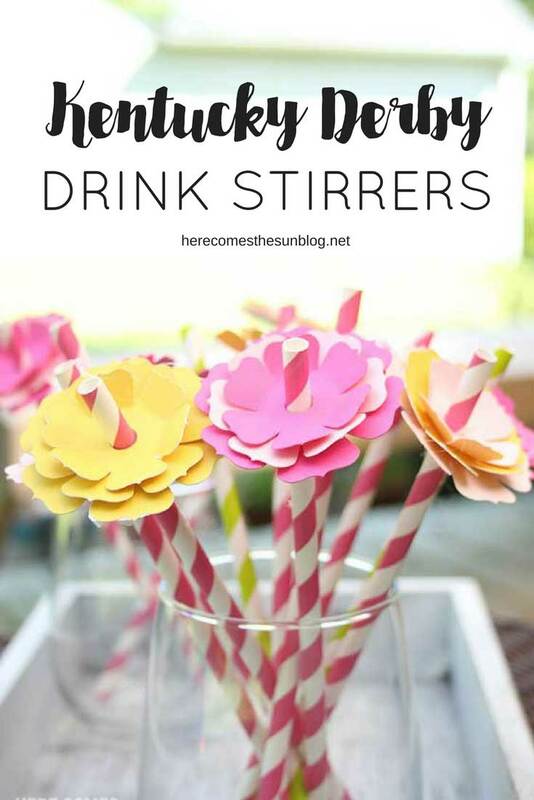 Download the drink stirrer cut file and upload it to a Cricut or Silhouette. You can access it in the resource library, below. 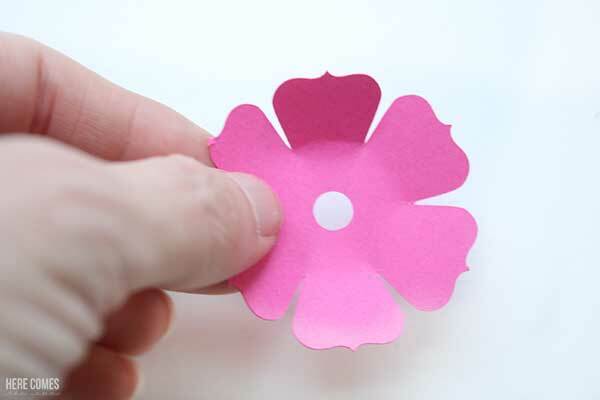 Do not resize it because the hole in the middle of the flower is already perfectly sized to fit a standard paper straw. 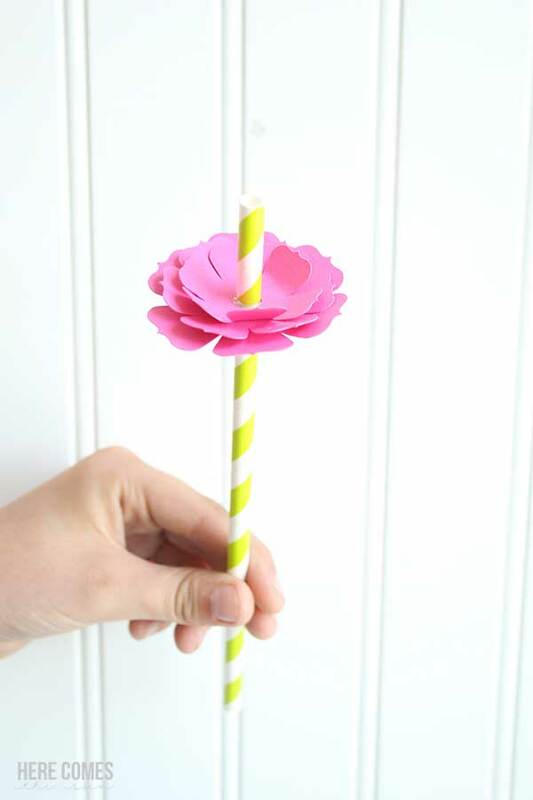 Place a paper straw through the hole and secure the paper flower with a dab of glue if necessary. I like to use green straws so they look like the stems of flowers. 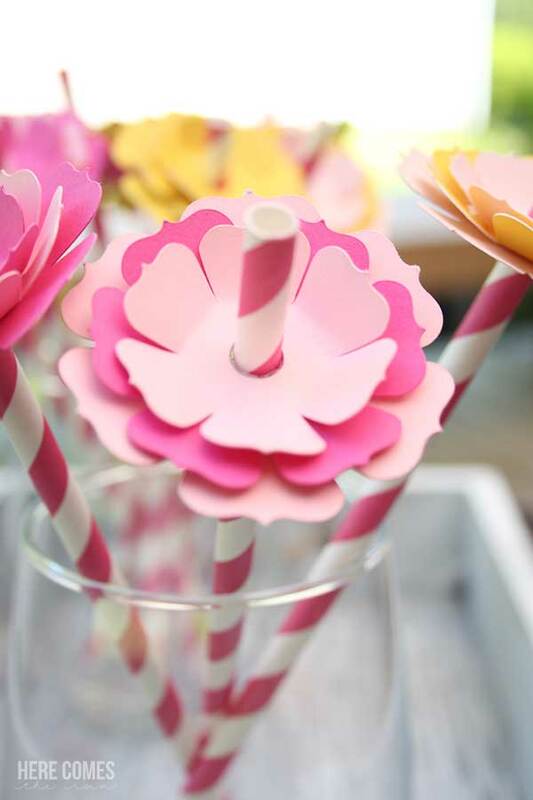 Place your completed Kentucky Derby drink stirrers into your favorite beverage like a mint julep. For a non-alcoholic version, try this non-alcoholic mint julep recipe. Not a mint julep fan? Check out these summer cocktail recipes and summer drink recipes. 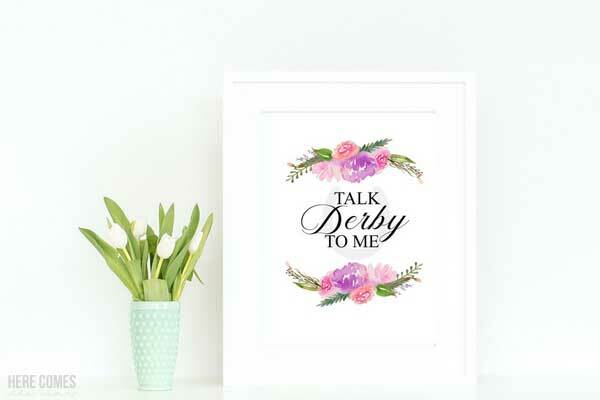 And because I can’t throw a party without a printable, I’ve created a fun Kentucky Derby party print for you. The watercolor florals for this print were created by the super talented Torrie at Fox and Hazel. Please note that this print is for personal use only. You may not sell or redistribute it.